JAMMU: Acharya Shri Chandra College of Medical Sciences (ASCOMS) won the friendly cricket match against Government Medical College (GMC) by 32 runs. The game was part of the ongoing Sports, Academic and Cultural events of the ASCOMS, here. Batting first after winning the toss, ASCOMS made 140 runs for the loss of six wickets in the allotted 15 overs. Dr Ravinder Gupta remained highest scorer with 35 runs while Dr Gurpreet (22), Manmeet (16), Dr Hardeep, Dr Vikas and Dr Ajay Bhat (15 runs each) were other scorers. From GMC, Dr Vishal Tandon bowled well taking away three wickets while Dr Rajandeep fielded excellently and took three splendid catches on the boundary. In reply, GMC bowled out for 98 runs to lose the tie by a margin of 42 runs. Dr Rajesh Sharma and Dr Rajandeep batted well contributing 41 and 23 runs respectively. Later, Dr Hardeep Singh was named man of the match. 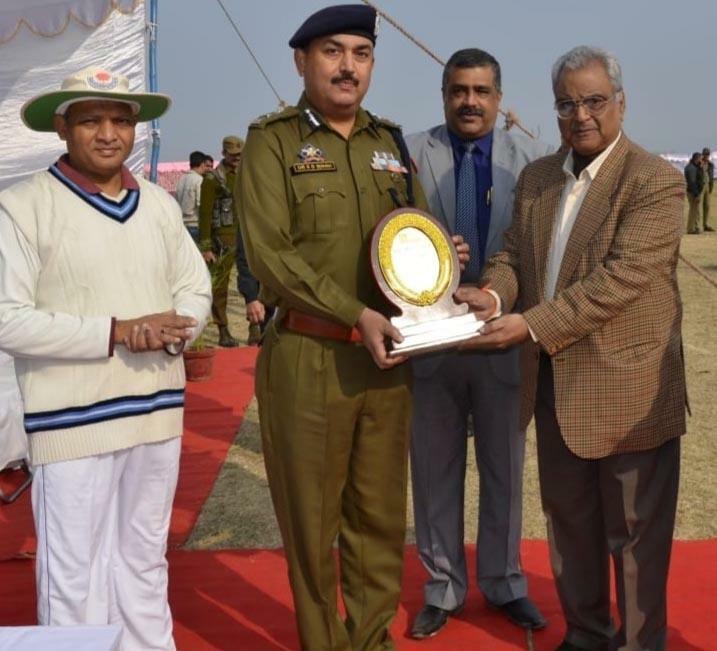 Earlier, the chief guest, Inspector General of Police (IGP) Jammu, Dr SDS Jamwal interacted with the teams and witnessed the game. Principal GMC Jammu, Dr Sunanda Raina was guest of honour. Among others present on the occasion were Joint Secretary, DK Batra, Director Principal, Dr Pavan Malhotra, chairman sports GMC Jammu, Dr. Dinesh Gupta and vice-chairman sports and cultural activities ASCOMS, Dr RK Gupta. The from both the sides also included female doctors, Dr Bawana Raina, Dr Shalini Sobti, Dr Meeta Gupta, Dr Chandpreet (All ASCOMS), Dr. Sapna Gupta, Dr Sharminder Kour and Dr Rachna Sabharwal (GMC Jammu).